Why are the mainstream media ignoring the shocking Tory bigotry and bullying scandals? The mainstream media are absolutely desperate to assist the Labour right-wingers in their plot to reduce Labour's vote at the local elections by amplifying their anti-Semitism smears, but the huge story they're ignoring is the very real problem of bullying and bigotry within the Tory party. Just two weeks ago the Tories relaunched their youth movement with the disgraced Tory Vice Chair Ben Bradley at the forefront of the launch. Bradley is a guy who promoted the forced sterilisation of poor people and got caught spreading totally outrageous lies on Twitter, but somehow the mainstream press didn't bother to ask how this odious man is still in his job, let alone why such a bigot is being entrusted with the Tory youth movement. 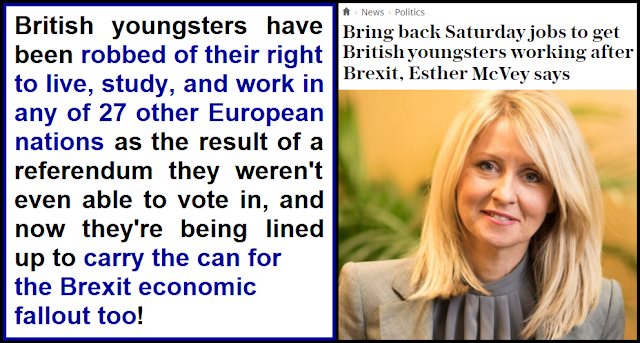 Another question they didn't bother to ask is why the Tory youth movement needed to be relaunched. The answer of course is that it was shut down after a young Tory activist was bullied so badly that he was driven to suicide. 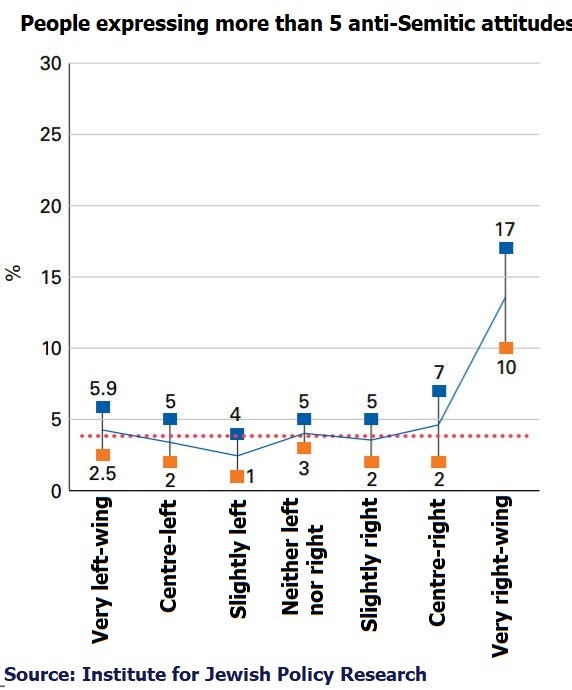 The Tories had to close down their youth movement because they actually bullied someone into suicide, and then they had the cheek to cry victim that right-wing young people are supposedly being told (by unspecified persons) that "they have to be Corbynistas"! 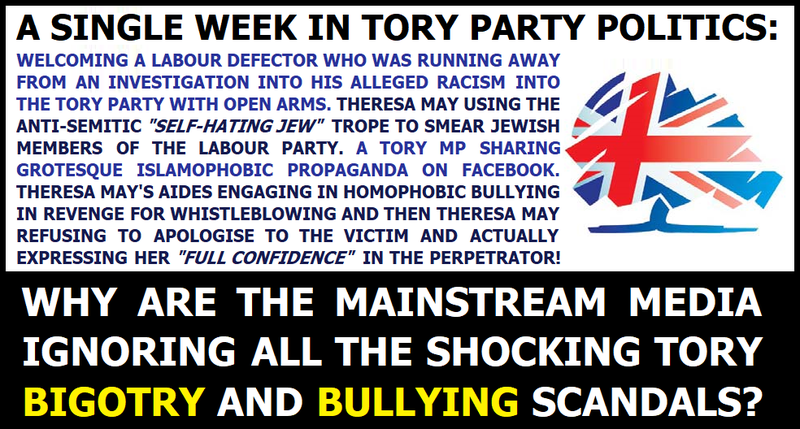 Bigotry and bullying have always been part of the right-wing Tory agenda, from Daily Mail articles abusing Jewish refugees from Nazi Germany and Tory politicians signing up to anti-Semitic groups in droves; through the shockingly racist "If you want a coloured for a neighbour, vote Liberal or Labour" election leaflets of the 1960s; the homophobic Section 28 legislation of the 1980s; the profoundly sexist Tory austerity dogma that has loaded 86% of the economic burden of the financial crisis onto the shoulders of women; to Theresa May quoting a disgustingly bigoted and misogynistic extreme-right Twitter troll in parliament in order to score cheap political points against Jeremy Corbyn in the recent past. 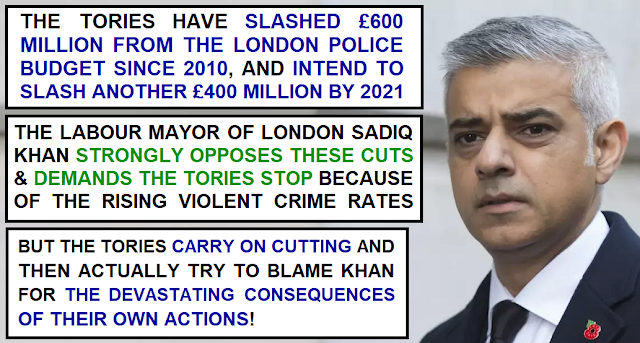 But Tory bigotry and bullying aren't just issues from the past, they're very much going on right now too. 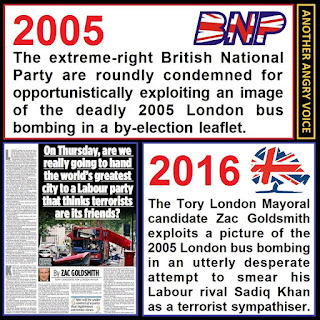 It's just that providing proper coverage of the disgusting behaviour of the Tories runs entirely against the current mainstream media objective, which is to assist the right-wing Blairites in their plot to drive down the Labour vote at the local elections in order to have another crack at deposing Jeremy Corbyn. If the media were in any way balanced, the following four examples of Tory bigotry and bullying would have got an absolute storm of publicity but instead they've been buried underneath a landslide of anti-Semitism smears against Jeremy Corbyn, the Labour Party, and the left in general. 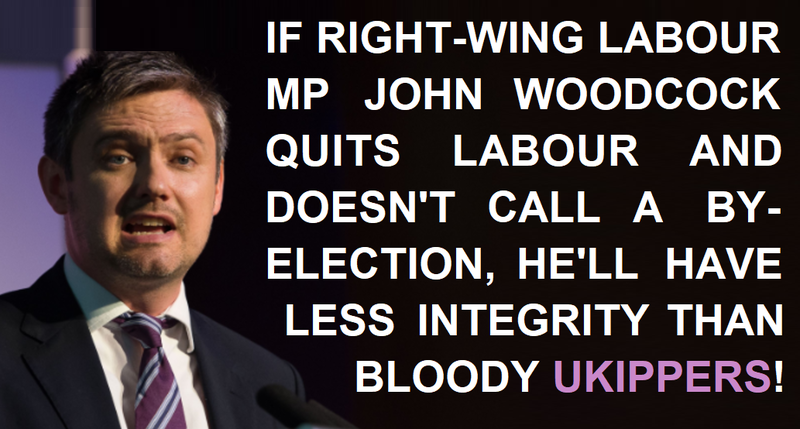 Las t week the bigoted Tory MP Ben Bradley made a huge song and dance about attracting two defectors from the Labour Party into the Tory fold. What Bradley forgot to mention was that one of them had been suspended as a Labour Councillor for his appalling 44% attendance record, while the other one was running away from Labour because he was under investigation for alleged racism. What a truly wonderful story for any racist politicians out there: If you get caught being a racist prick, avoid going through the investigation and expulsion process in your own party, just jump ship to the Tories before the investigation is concluded! 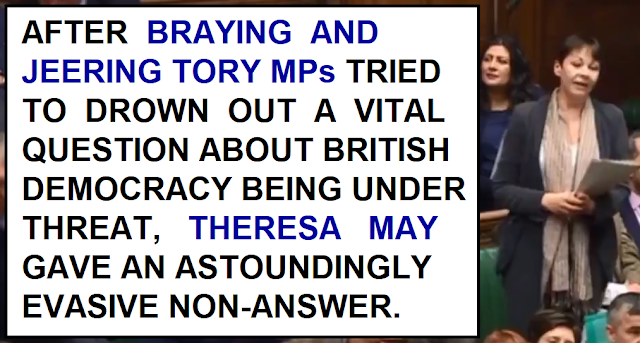 At Prime Minister's Questions on March 21st Theresa May was rattled. Jeremy Corbyn was asking difficult questions about the devastating impact of Tory austerity on local council budgets, so she retorted with the classic "whataboutery" distraction tactic of talking about something else. 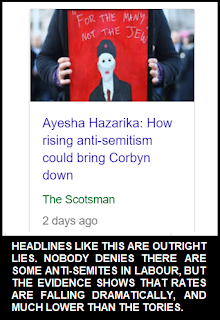 The subject she picked was the anti-Semitism storm the Labour right-wingers have been brewing in order to attack their own party's chances at the local elections. The problem for Theresa May is that she's such a third rate thinker that she managed to accidentally use a grotesque anti-Semitic smear during her attempted criticism of anti-Semitism within Labour. When she claimed "there is no place in Labour for those who want to tackle anti-Semitism" she labelled every single Jewish person within the Labour Party as tolerant of anti-Semitism. 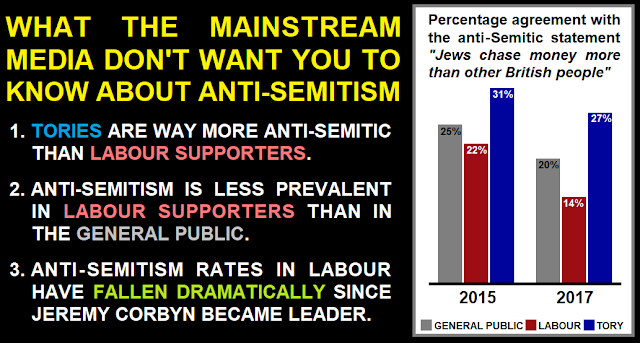 A non-Jew accusing a significant number of Jewish people of being tolerant of anti-Semitism is clearly an act of anti-Semitism in itself because it's an invocation of the deeply anti-Semitic trope of the "self-hating Jew". 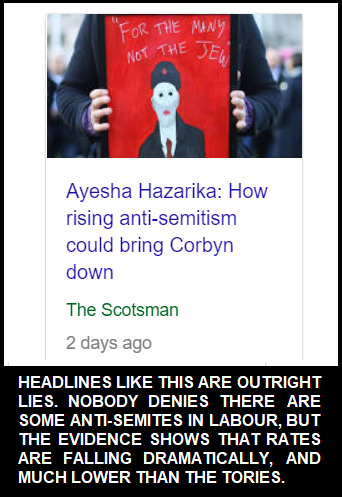 Astoundingly the mainstream media refused to even address the fact that the Prime Minister of the UK used a well worn anti-Semitic trope in order to attack the opposition party as anti-Semites. 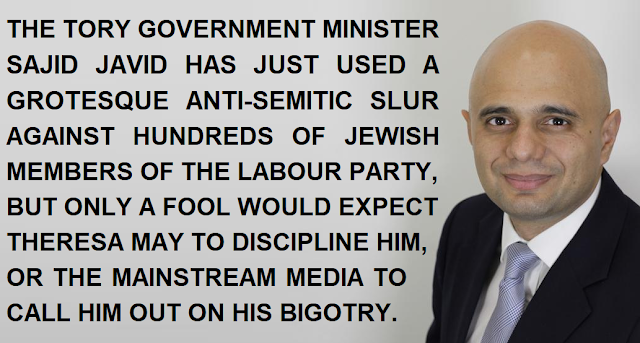 Within days of her team of advisers telling her to use an anti-Semitic trope to attack Jewish members of the Labour party, Theresa May's inner circle did something even more bigoted. They decided to out someone as gay against their will in a desperate effort to discredit their whistleblowing over alleged cheating by the Vote Leave campaign. 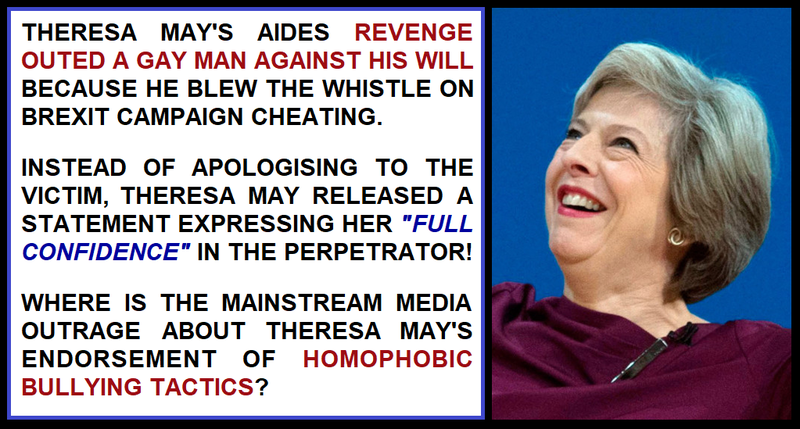 Theresa May's reaction to this outrageous piece of homophobic bullying wasn't to apologise to the victim and sack the perpetrator. In fact she didn't even bother to apologise to the victim at all, and instead put out a statement of "full confidence" in the homophobic bully! It was possible to imagine that the decision to revenge out someone as gay was made without Theresa May's knowledge, but when she intervened to express her absolute support for the homophobic bully on her team it became obvious that Theresa May is still the raging homophobe who spent the majority of her parliamentary career voting against gay rights. On the same weekend that Theresa May's team resorted to homophobic bullying in order to defend their beloved Brexit the Tory MP Bob Blackman took to Facebook in order to share a grotesque piece of extreme-right, Islamophobic, anti-Somalian propaganda from the United States. Blackman subsequently deleted the post and issued the extraordinary excuse that he had never actually visited the website he shared a link to, but this is a guy with a proven track record of bigotry that even went as far as promoting the EDL founder Tommy Robinson. Has Theresa May reprimanded Blackman for his disgusting behaviour. Of course she hasn't, she's just remained completely silent and relied on the mainstream media to almost completely ignore the scandal. 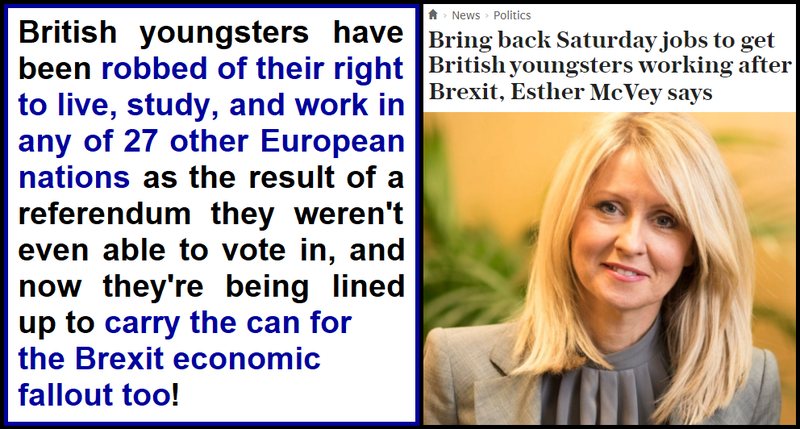 Over the last 8 years the Tories have pushed the deeply sexist policy of loading 86% of the economic burden of their austerity dogma onto women, but occasionally they betray their sexist attitudes in person. Take Boris Johnson's pathetic effort to demean Labour's shadow foreign secretary Emily Thornberry by referring to her by her husband's title. The Speaker John Bercow rightly chastised Boris Johnson for his sexism, but the fact remains that the Tory party is stuffed full of political dinosaurs who consider addressing women by their husband's title is some kind of incredibly witty putdown. 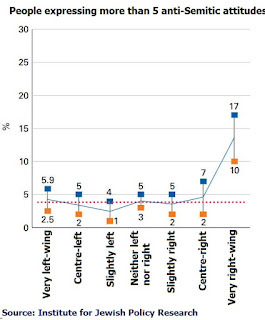 You won't hear very much about the numerous Tory bigotry and bullying scandals of the last week because that would run entirely counter to the establishment objective of driving down the Labour vote at the local elections in order to give the coup-plotting Labour right-wingers another crack at deposing Jeremy Corbyn and reverting Labour to the same hard-right neoliberal economic dogma as the Tories and Lib-Dems. 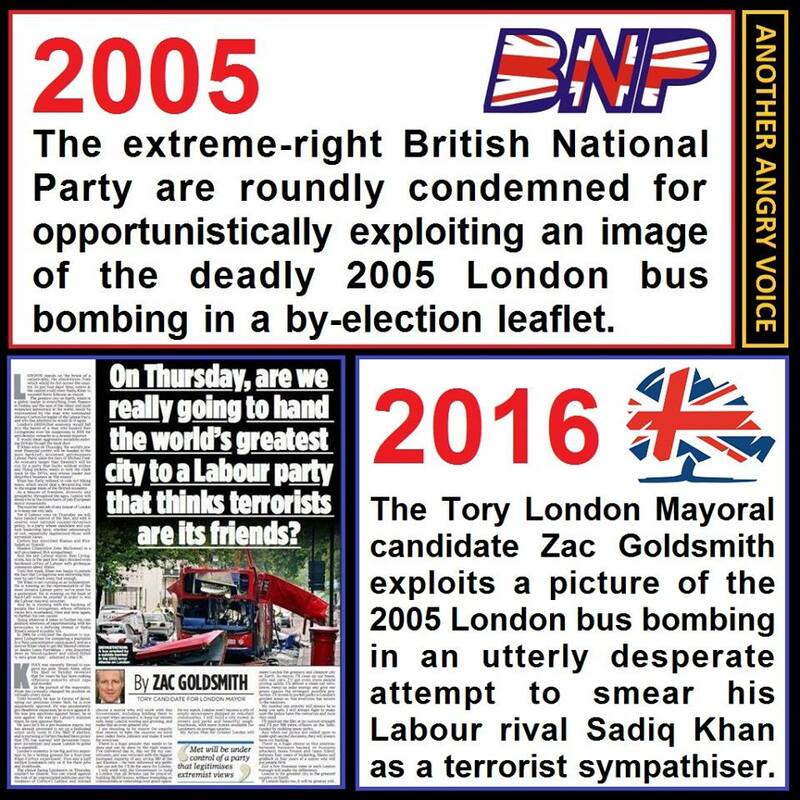 But just because you don't hear about it in the mainstream media, doesn't mean that the rampant Tory bigotry and bullying aren't happening, they are, and they're absolutely scandalous.